It’s not everyday you open the box left on your doorstep and find a margarita inside. I mean, I didn’t exactly find a margarita inside of my Primo Picks Package (say that 5 times fast! ), but I did find a bottle of Central Market Organic Kaffir Lime & Coconut Italian Soda. 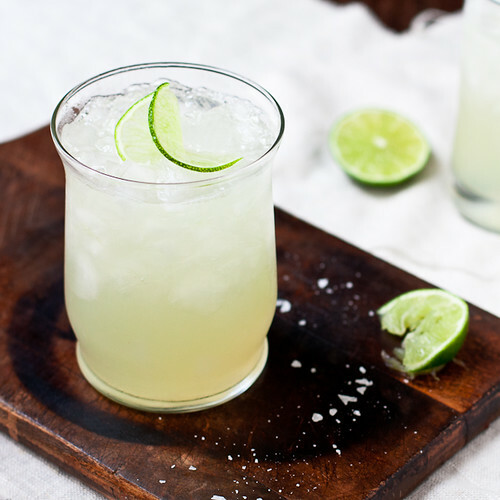 This margarita is a 3-day, no-pants-required weekend in a glass. It’s a swim-up bar at a swanky all-inclusive, served over ice. It’s a – guys. It’s a margarita. It takes 47 seconds to make and 3 seconds to realize that you should have just doubled the recipe to begin with. Drink up. And happy 97 degrees! 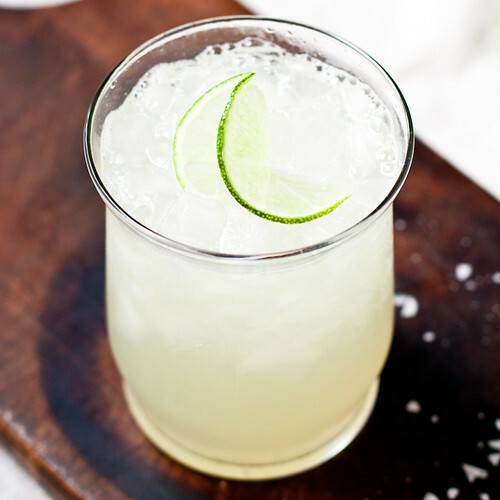 A sparkling margarita made with Kaffir Lime & Coconut soda. Line the rims of two glasses with salt and fill with crushed ice. Stir together the soda, lime juice, and tequila and pour over ice. This recipe was developed in conjunction with H-E-B and I was provided ingredients as well as compensated for my time. Messy fingers, stretchy-waisted pants, and Queen-Elsa-dress-glitter -covered wood floors are all mine. You can find H-E-B on Facebook, Twitter, and Pinterest. And if you’re as lucky as we are, 4 locations within a 5 mile radius. I love a good cocktail and this is such a fantastic recipe, it looks great! Love the flavors in this marg, so perfect for a warm weekend!! Does the recipe come with babysitter?